You can stay at three Disneyland Resort Hotels in California, all of them owned and operated by the Disney company. The Disney company owns and operates three California Disneyland Resort hotels. All of them are large hotels, with 500 or more rooms. They all offer ATM machines, business centers, concierge services, photo processing and all have a pool, in-room refrigerators, health club and laundromat. They differ in price, decor and ambiance. The links in these descriptions will take you to in-depth guides to each one, all based on in-person visits. Disneyland Hotel: The largest Disneyland Resort hotel has almost 1,000 rooms in three buildings. It has the strongest Disney theming, the best swimming pools and one of the most energetic character breakfasts. However, its most unique characteristic is the lighted headboards that provide fireworks every night before you go to sleep. Paradise Pier: Overlooking the California Adventure theme park, Paradise Pier is the least expensive of the Disneyland Resort hotels and the first to sell out. I think it's the best value for money among the Disneyland Resort hotels. The decor is cheerful and the rooms are the largest of the three hotels - and it's the only one that features Mickey Mouse at their character breakfast. They also have a nice rooftop pool with a view of the Disneyland fireworks. Grand Californian: Designed after the classic lodge at Yosemite, the newest and most expensive Disneyland Resort hotel is in some ways the most "adult." It's the only one with a spa and a fine dining restaurant and they don't have roll-away beds. However, it's also the only Disney Resort hotel to offer child care and children's activities in the hotel - and their villas offer lots of extra room and full kitchens. All three Disneyland hotels offer breakfasts featuring Disney characters. You can chow down with Chip 'n Dale at the Grand Californian's Storytellers Cafe, grab a bite in Goofy's Kitchen at the Disneyland Hotel, or munch with Mickey Mouse at Paradise Pier's PCH Grill. The characters are available only during limited hours and as you can imagine, are quite popular - and you don't have to stay in the hotels to enjoy them. Call 714-781-3463 to make a reservation or reserve online. Staying in a Disneyland Resort hotel is very convenient, with the Grand Californian offering direct entry into California Adventure. If you live the Disney experience, you can stay in these three hotels and never have to leave the magic. Because the hotels are close to the parks, you can sleep a little later and don't have to worry about shuttle schedules or pay for parking. You may even be able to manage without a rental car. Disney hotel guests get the most early entry privileges, with access to one of the two parks most weekdays. You don't have to carry your park purchases around with you if you stay in one of the Disney hotels. You can ask to have them delivered to your room at no charge. Hotel guests also get access to tours and other activities that are not provided to the general public. Disney offers hotel packages that may include admission discounts. The Disneyland Vacation Package Guide summarizes their pros and cons. At first glance, it may look like the positives outweigh the negatives, but the big negative can be enough to outweigh all the advantages. Your stay at a Disney Resort hotel won't be inexpensive. Standard room rates at the Disneyland Resort hotels range from $175 to $500+ per night. Even with the discounts included in a package, the nightly rate can be more than twice the cost of other comfortable Disneyland area options. Choose a Disneyland Resort hotel for convenience and ambiance, but not to minimize your vacation cost. Disney partners with a number of area hotels each year, designating them as a "Disneyland Good Neighbor Hotel." They are chosen for "rated on amenities, service, decor, guest satisfaction, price and location," according to the Disneyland website. 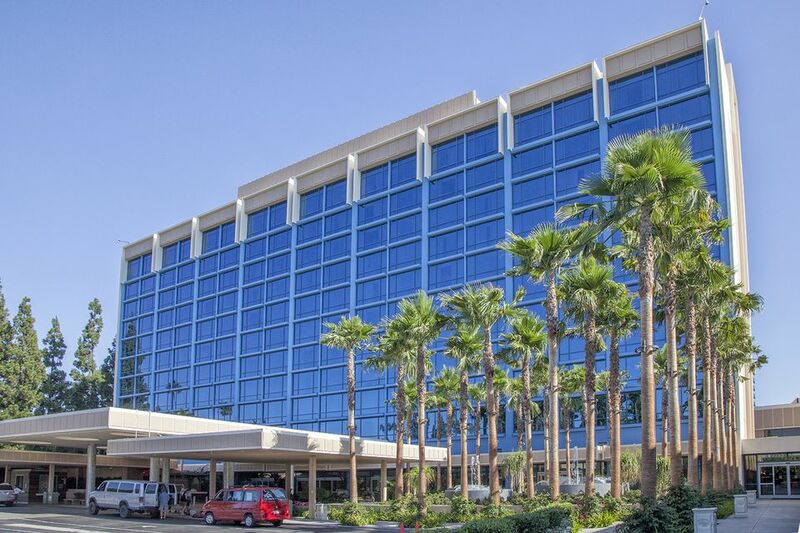 If you want to check out the other hotels in the Disneyland area, start with the Guide to Finding Your Perfect Disneyland Hotel. It includes lists of pet-friendly hotels, properties with suites for privacy and hotels with rooms big enough to handle large groups. If your budget is your main concern, check this list of better-rated and less expensive hotels near Disneyland. The Disney hotels are within walking distance of the Disneyland entrance. So are others in the area, but beware of the technically truthful yet deceptive descriptions they use. Know that Disneyland has only one entrance on Harbor Boulevard and check the map. Otherwise, that hotel that's technically across the street could be a 20-minute walk away.